Bed bugs have been around for more than 30,000 years. After many investigations, many insecticides and trapping techniques have been adopted, but apparently this did not prevent these pests from invading at any time. According to the researchers, bedbugs have become very rare in the West in the early 1940s. But because of the great international mobility, they have reappeared everywhere, especially in public places. That explains their remarkable presence at the moment. What is the cause of bed bugs in a home? You must know that these insects feed mainly on human blood. For this purpose, where there is human presence, there may be bed bugs. Do not be surprised if you find some at home, even if your house is clean. Although tiny, bed bugs have a strong ability to spot the presence of humans . They are oriented directly to an inhabited room thanks to the body heat released and the effluence of carbon monoxide released by the breathing of the man. Once inside, they immediately find refuge in the pillows, the mattress, the box spring, and the sheets. 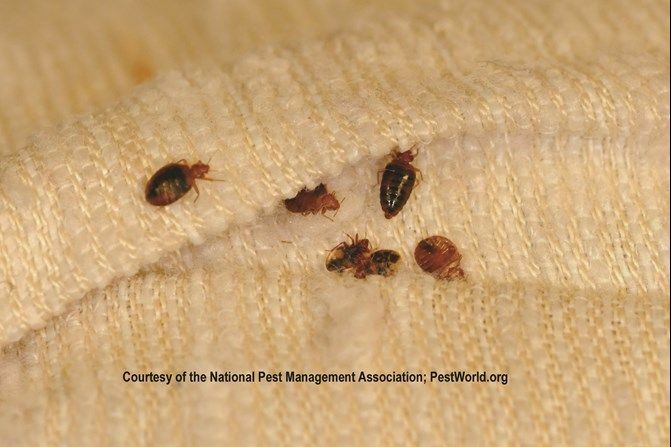 Be aware that bedbugs are extremely resistant insects. In winter, for example, they can stay without food for more than a year. If you do not detect their presence, that does not mean that they are not there. Thanks to this high level of resistance, they sleep comfortably for months in your mattresses or pillows until they want to come back. We will never tire of telling you again: bed bugs are not in your house because of a bad hygiene or a lack of cleanliness . They are there because humans live there. They can be home too, because someone took them away. If you have had guests recently, do not forget that these people are also carriers of bed bugs. It is even possible that these insects have been in your room because of you, especially when you have just returned from vacation or a business trip. As they can stay without food for weeks, they can cross oceans and continents without anyone noticing. To do this, they simply camouflage in suitcases, panniers, and trunks. The hotel establishments one of the causes that shelters many nests of bed bugs! If you are used to traveling and sleeping at the hotel, always have the habit of checking sheets and bedding. Even in the most prestigious palaces , bed bugs can elect home without the knowledge of all. You recently went to the hotel? That's probably where the bedbugs you just found come from. The transmission could be done when you slept or when you were packing on the bed of the hotel. Bed bugs can stick to your belongings, just as they can slip into your luggage in the most discreet way possible. The move, another unavoidable factor! During a move, boxes, covers, cases are used to pack the belongings to be transported. However, these objects may contain bed bugs. And even if the packaging is freshly disinfected (which is rarely the case), the furniture may be contaminated as it is stored in the truck. To avoid risk, remember to inform yourself about the anti-insect policy of the moving company you contacted. If his arguments do not seem convincing, do not hesitate to provide blankets for all your belongings. Used furniture and bed bugs are one! Who says "means of transport" says "travelers", and who says "travelers" says "baggage". In terms of bedbug transmission, trains, boats, planes, coaches, and taxis are not spared. The presence of these insects in the public means of transport is obvious since they have a permanent human presence all year long. Bedbugs tend to disperse in neighboring rooms, whether they be hollow walls or partitions. Do not be surprised if you are at home if you are near an infested room. This is also why the specialists in disinsection do not fail to check the adjoining rooms during their intervention. If you accidentally accidentally bring a bedbug home, that it is a female and she is pregnant, know that she brought you at least 1000 other bedbugs with her. Indeed, a female bedbug can cause a thousand offspring because of the rapidity of its reproductive capacity. What does it take to not be a transmission factor for bed bugs? It should be noted that the following indications do not guarantee the elimination of bed bugs. These are just actions to adopt to limit the spread , and they apply mostly to travelers. When staying at the hotel, avoid putting your suitcase on the bed for any reason. Do not leave your luggage on the ground either. Carpets and rugs are favorite places for bedbugs. Put your suitcases in the bathroom, even if it seems unusual. Be aware that bedbugs hate slippery surfaces like tiles. They will have trouble moving to your belongings if you put them in the shower. Are heated luggage a solution? Since 2014, heated luggage has made its appearance on the French market, precisely to overcome problems such as the transmission of bed bugs . Although these products have been adopted by thousands of travelers, satisfaction statistics are still unknown to date. You can get one if needed, if only for the sake of prevention. But in terms of its effectiveness, nothing is guaranteed. What disease can bed bugs cause? Although they are invasive, bed bugs, until now, have not yet been recognized as carrying any virus or pathology. Apart from the itching and skin inflammation , nothing serious can be caused by the bite of these insects. If you ever have an allergic reaction, consider seeing a specialist for prolonged stings. If you want to act as a precaution to slow down the invasion of bed bugs. We have selected a small list of products below. For a cure and to put all the chances on its side, it is strongly recommended to turn to a specialized society of disinsectisation .